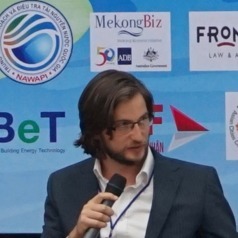 Dr Jason von Meding is an Associate Professor at the University of Florida and founding faculty of the Florida Institute for Built Environment Resilience (FIBER). Before moving to the U.S. he spent 6 years at the University of Newcastle, Australia, where he established the Disaster and Development Research Group. He obtained his PhD from the Queen’s University of Belfast in Northern Ireland, where he also spent 3 years on faculty. His research focuses on the social, political, economic and environmental injustice that causes people, across global societies but particularly in the developing world, to be marginalised and forced into greater risk of being impacted by disasters.